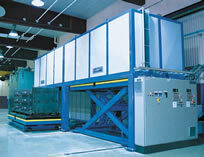 The IUT program varies from simple manual batch ovens to advanced automatic tunnel ovens and vertical chamber ovens. The batch ovens can be equipped with rotation device, humidity control and loading / unloading equipment. 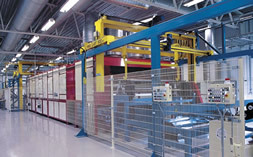 The tunnel concept transports the mandrels from the winding machine through a multi-zoned heating oven / cooler.